TLC’s CARL automation system is made better through its years of significant use by some of the largest public libraries in the world. TLC has achieved and maintained a reputation for beautiful software – software that looks fantastic, software that anticipates public library scenarios, and software that delivers a richer library experience, for 40 years. Experience has taught TLC to adapt to technology trends inside and outside the library industry, and that is showcased through CARL. 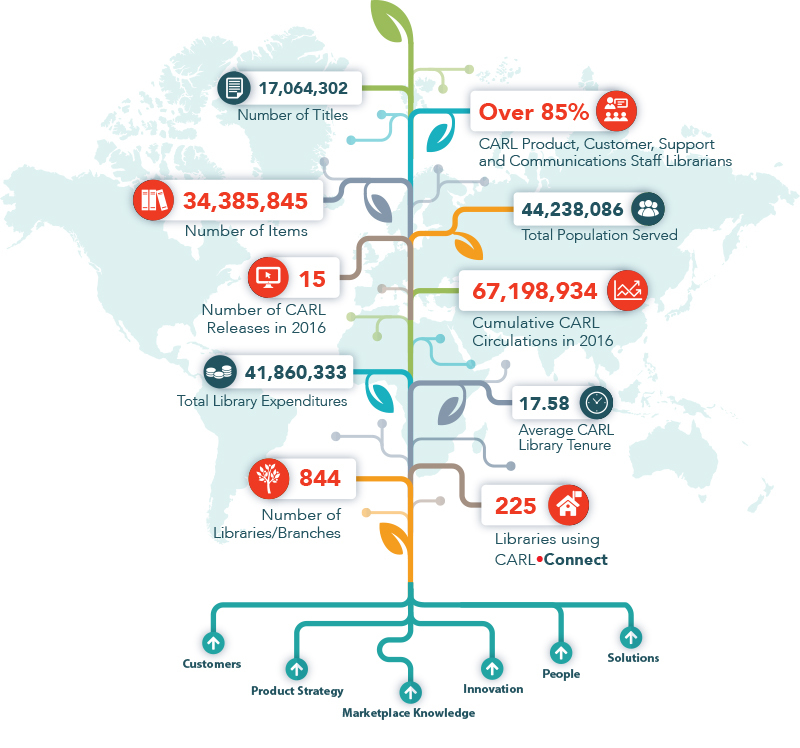 Libraries using CARL include Broward Public Library in Fort Lauderdale, Fla., Los Angeles Public Library in California and the Monroe County Library System Consortium in New York. Designed and developed in partnership with some of the largest libraries in the United States and beyond, CARL•X uses established, thoughtfully created design and development principles. It showcases libraries’ individual strengths, while freeing staff from routine functions. 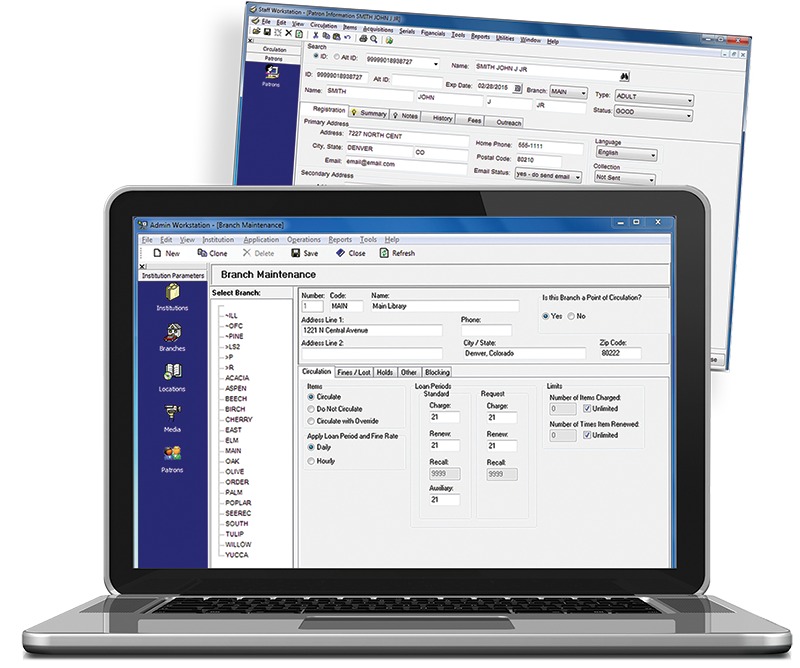 This UNIX and SQL/Oracle-based, solution uses Web and MS Windows client software to offer an array of services and features. CARL•X serves the needs of the largest libraries, but is scalable to handle the demands of consortia of any size, while preserving each library’s autonomy. These benefits are available whether you choose a SaaS hosted solution, or prefer to maintain equipment on-site. CARL•X is a true open system. In fact, TLC collaborates with countless other leading technologies and library partners to create the ideal user experience. The robust database structure and CARL•X web service APIs offer a proven foundation to help your library deliver an unparalleled and ground-breaking experience to your community. CARL•Connect Discovery constitutes the core of CARL’s configurable, multilingual OPAC environment. CARL•Connect Discovery uses a Lucene search engine to offer powerful search capabilities with easily accessed interfaces for diverse communities, and it can present any language, including those with non-Roman characters. It also provides outstanding integration and presentation of multimedia/multiformat metadata, including e-book, photo, audio, and video collections. Our open access to CARL’s APIs and modular approach to OPAC functionality maximize your ability to customize your interface and build a portal that blends with your Web site. Patrons may pay fines and fees using a credit card, create personal profiles, save favorite searches, register for RSS feeds, and receive program event alerts via e-mail. Patrons may create personal lists to save titles to their “bookshelf” to place holds or keep items in a Netflix-like queue. Online Selection & Acquisitions (OSA) is a comprehensive, standalone solution that supports all aspects of collection development, acquisitions, fund management, and order management. 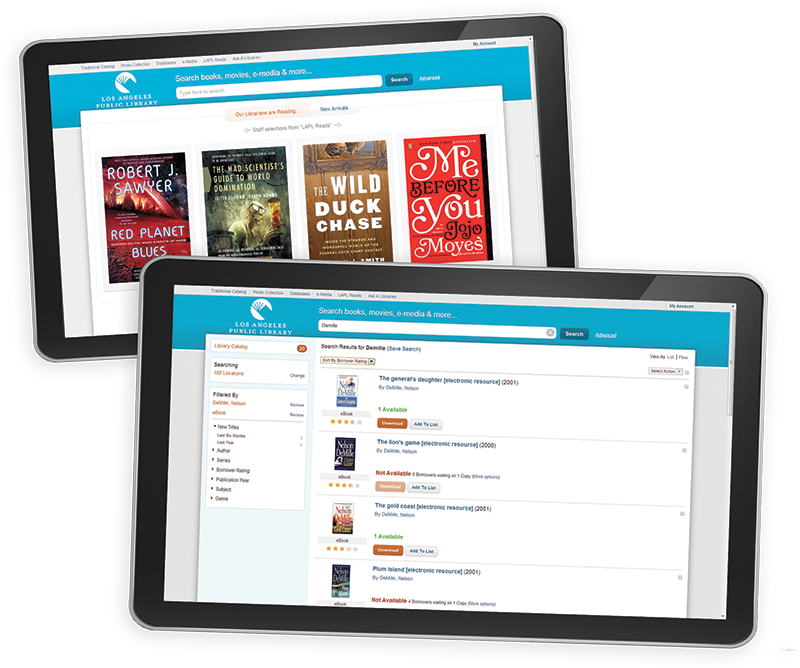 Simplify your library’s fine-collection process with TLC’s E•Commerce enhancement for the Library•Solution and CARL•X integrated library systems.